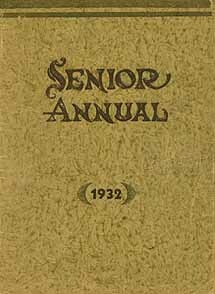 Now everything you wanted to know about the IHS Class of 1932 is at your fingertips....as published in the 1932 Senior Annual Class History. 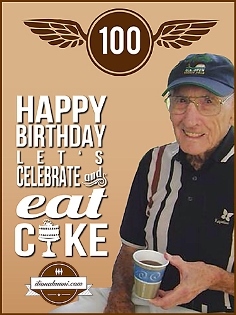 Happy 100th Birthday to Carl Bleau. Carl celebrated his birthday at Doty's Golf Course on August 16, 2014. He was born and raised in Ilion. Carl Bleau is still living in Ilion and golfing at Doty's Golf Course. The August 2014 Alumni cover story is a salute in honor of Ilion Centenarian Alumnus - Carl Bleau and his amazingly athletic family. 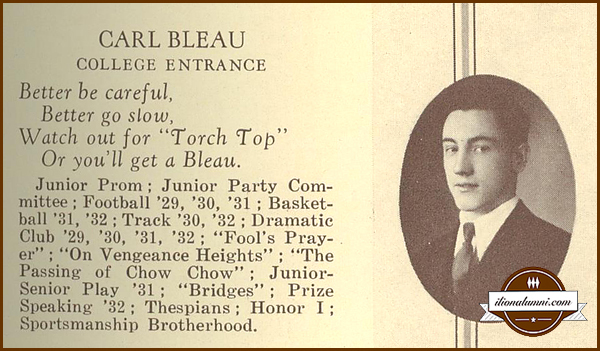 Sadly, Carl Bleau passed away on Sunday, August 17, one day after his 100th birthday. Mr. Thomas A. Morris, 84, of Claxton Manor - Herkimer, formerly of 176 South Fifth Ave, Ilion, passed away on August 10, 1999, in Little Falls Hospital. Mr. Morris was born March 15, 1915, the first son of Thomas R. and Margaret Curley Morris. He attended North Street Grammer School and graduated from Ilion High School, class of 1932. He attended the Collegiate Center and pursued a legal career after graduation. Mr. Morris studied law for four years, in the office of Fred J. O'Donnell, a local attorney. He passed the New York State Bar examination, on his first attempt, in 1939. He practiced law with Mr. O'Donnell, his mentor, for two years until he enlisted in the Army as a private, during World War II. He attended Officer Candidate School and served in North Africa, Sicily, and Italy as legal officer and judge with the Allied Military Government. He was awarded the Bronze Star and the Knight Order-Crown of Italy from King Umberto. After returning from military service in early 1946, Mr. Morris served as legal officer, training officer and executive officer of a reserve unit, rising to the rank of major. He was united in marriage to Mary E. Gilmartin, on Feb. 9, 1946, at the Church of the Annunciation. Mrs. Morris passed away October 14, 1997. During his 53 year legal career, Mr. Morris was elected police judge, and served as village attorney in Ilion. For many years, he served as Herkimer County Democratic chairman. He also served on the board of trustees for the Herkimer County Community College and was a trustee for the Mohawk Valley General Hospital. Survivors include two sons and daughters-in-law, Thomas A. Jr. and Evelyn Morris of Grayslake, Ill., Dr. David G. Morris and his wife Dr. Laura Napolitano of San Francisco, two grandchildren, Kristin and Sean Thomas Morris; six brothers and sisters-in-law, John and Bette Morris, of Ilion, James and Gladys Morris of Florida, Richard Morris of Florida, Donald and Maureen Morris of Florida, Robert 'Skeeter' Morris and Ann Morris of Florida; one sister, Margaret 'Peg' Marley of Ilion; his brother-in-law, John Gilmartin of Ilion; and many nieces, nephews and cousins. He was predeceased by his wife, Mary and his brother, Edward J. Morris.